"There is no reason why an ability to translate should not be seen as a type of communicative competence"
Translation in the EFL classroom seems decidedly old-fashioned. One thinks of students methodically translating rows of decontextualized, somewhat odd, sentences into their own language, for the teacher to finally read out the correct translation. It is hard to see the value in such activities and they are rightly absent from most modern methodologies. But the movement against this type of activity often does not see value in any form of translation. Indeed, some of my colleagues discourage students from translating words with a dictionary. It seems there is a perception that the act of translation does not help students learn the language. Aside from the fact that this perception can make language classes somewhat inefficient, it dismisses out of hand any affordances that translation tasks can realise. As Julian Edge points out, ‘[t]here is no obvious reason why an ability to translate should not be seen as a type of communicative competence’ (Edge, 1986). Translation, done properly can help students pay attention to the mechanics of the language, how English differs from their own, and crucially, how the language which the students produce is different from the language they receive as input; otherwise called noticing-the-gap. For many Second Language researchers, attention is absolutely necessary to acquisition. In his influential Noticing Hypothesis, Richard Schmidt posits two forms of essential attention. The first, and probably more familiar, is simply ‘noticing’, in which students register formal features in the input. Many textbooks feature types of noticing activities, for example, students must find and identify which grammar structures is used in a text. The second process, apparently less commonly used, is called noticing-the-gap; in which students notice how the input (or output in target environments) differs from the output they are able to produce. This is not simply about correction. Students may not be aware they are being corrected or may not pay attention to exactly what element of their production is being corrected. Students must pay attention to the difference for it to trigger learning. How are we to do this? The first process, simply ‘noticing’ is perhaps not so hard to do in the classroom, but how do we engender situations in which correction is unambiguous and in which the student is inclined to notice the gap? One simple way of enabling students to notice the gap in a wholly unambiguous and deceptively simple way is by doing back translation. Back translation involves translating a text into one language then translating it back into the original. In an EFL classroom, this would mean the students translate a text from English into their language, then translate this text back into English without looking at the original. In this way, each student ends up with three texts; the original in English, a translation in their first language, and a second, back translation in English. The comparison between the original and the back translation provides opportunities for noticing the gap. The standout advantage of doing back translation here is that the students get direct, unambiguous feedback when they compare their back translation with the original. Interesting discrepancies become noticeable; verbs change their aspect or form, articles disappear or intrude, word order is rearranged, words are omitted, meaning shifts, and so on. Discrepancies can indicate underlying issues with students usage and understanding which often go unnoticed both by the teacher and the student in standard classes. The differences prompt students to pay attention to the way the language is used in the original text and the way they individually use it. Rather than the very general ‘is this correct?’ elicitation of feedback, students tend to ask much more specific questions: ‘Can I say…? Is this the same meaning? Is it different if….? Why is there ....? etc.. Instead of simply correcting the students output, the teacher is on hand to answer these questions. The teacher can address common issues and also draw attention to individual learners’ issues and give them a focus for future study/feedback. Furthermore, the teacher can draw the students attention also to what is the same. Students will be largely concerned with the failings of their translation but it can be remarkably encouraging for students to see how much of the text they were able to recreate faithfully, on their own, even if they did not reproduce exactly the same text. This can be a well-needed boost to students confidence in a class that often feeds off their mistakes. Back translation has two other significant advantages. Firstly, back translation is remarkably easy to implement in class; once you have selected a text linguistically and thematically appropriate to the students, the rest of the lesson content is generated by the students and the teaching point becomes whatever discrepancies the students cannot reconcile. It helps to know the students’ L1 but it is not at all necessary to run this lesson. Secondly, while it may sound a dull task to be doing the days, I have found it to be a very engaging task. This is, I think, for several reasons. To begin with, it is a ‘real-world’ or ‘authentic’ task in which students are not just role-playing as a translators, but in fact are translators for the task. Secondly, the students are creating, not just manipulating or discussing a text. Students make their own translations which may be different from those of other students and even when they are very similar, each student arrived at that translation individually. Students also have a learning ‘artefact’; a piece of language production which have meaning beyond the practice of language items. Moreover, while students tend to focus on the deficiencies of their translation, it is encouraging for them to see where their translation is the same.Students are often capable of faithfully approximating the text, if not exactly reproduce, the original text. Students often see text translation as quite a high level communicative skill so when you can show them that they are capable of producing effective translations, this can be a well-needed boost to students confidence in a class that effectively feeds off their mistakes. 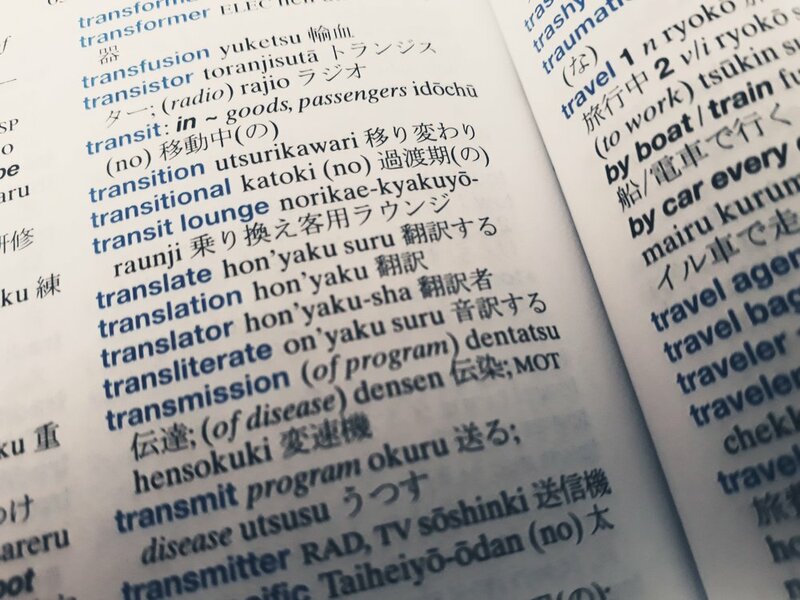 I don’t see any disadvantages as such to back translation lessons, however, there are two things to bear in mind when running this type of lesson. Selecting an appropriate text is crucial. It is tempting to use highly idiomatic texts, such as news or journalistic articles, in an appeal to authenticity and from ease of access. However, high levels of idiomatic language, which the students are unlikely to know and will have difficulty deciphering, will defeat the object of the task as the lesson focus will digress into discussing obscure idioms of little functional value to most students. If necessary, you can always adapt, or even write, texts, or source them from textbooks to make sure they are appropriate. Secondly, some teachers may hesitate to walk into a classroom armed only with a short text. It is impossible to know exactly which parts of the text will generate difficulties but you can often predict certain issues and prepare how you want to deal with it in advance. That said, there are always unexpected issues and you have to be confident enough to deal with them as they emerge. Some may also wonder whether there is enough in a short text to last a whole lesson. Translation takes more time than you might expect; even my advanced classes average about 2 paragraphs in a 1.5hr lesson. Intermediate groups can usually handle one paragraph in one lesson. Stronger students will be capable of more and you need to make sure the text is long enough to keep them entertained. That said, it would be a very strong student indeed who translated and back translated 4 average sized paragraphs in 1.5hrs or less. Some teachers may worry that this requires very little ‘talk’ from the students. True, this is a very quiet lesson until the last phase, yet translation is a communicative tasks: students are focused on producing a text, the purpose of which is to communicate meaning rather than to exemplify linguistic items. The attention required of the students and the level of feedback in a back translation task is often better than an activity in which students talk a lot, but do not attend to the mechanics of the language they are producing. There is also scope to include more communicative elements to the basic translation task itself (see Edge, 1986). Translation is a hugely underused and underestimated learning tool in many EFL classrooms. But with a carefully selected/adapted text and the confidence to let the students decide the linguistic items to be studied, back translation can be a rewarding, engaging and productive lesson. It motivates students to notice and consider the difference between the input they receive and what they are capable of producing, and allows students to attend to linguistic items without ever losing sight of the communicative purpose those items serve. The cherry on the cake is that it is remarkably easy to implement.